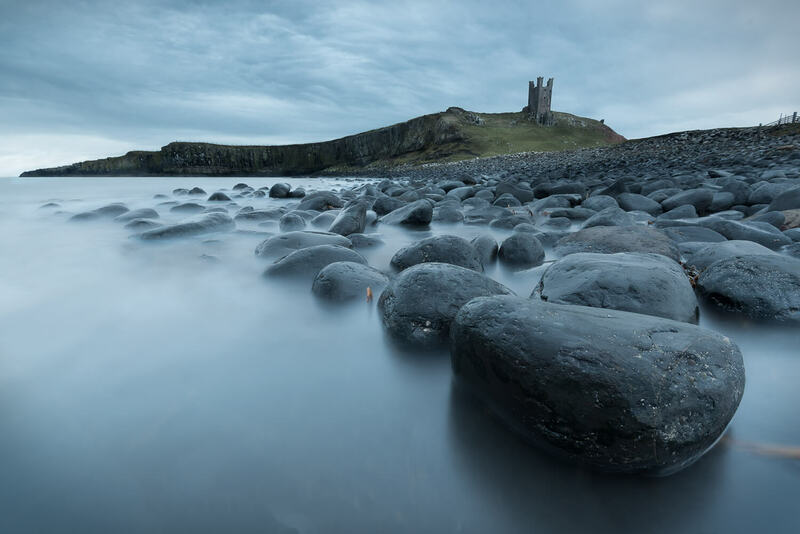 Dunstanburgh Castle is situated on the coast of Northumberland between Craster and Embleton, its also just down the coast from Bamburgh Castle, which is also well worth a visit if your in the area. 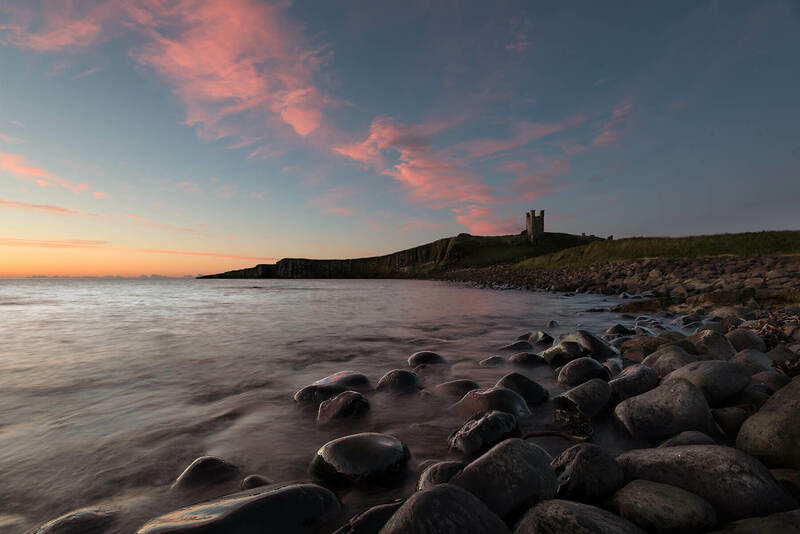 Stu and I walked down to Dunstanburgh Castle in the evening on the first day to try to get a sunset shot it and even though that didn't go to plan it gave us a good idea of where the castle was, where we needed to be for the sunrise shot and how long it takes to walk down there. In a total rockstar fashion we headed up to the Holy Island to take some night shots and stayed up there for a few hours exploring and then at 2am we set off back, parked up and walked back down to get in place for the sunrise at 4am. We got to beach about an hour before the sun came up which was good to try out some composition ideas and do a bit of exploring. I used a ND filter for the shot to get the water softer and merged that with the shots of the castle. I also highlighted a few areas including the highlights on the rocks and the castle along with lightening some of the grass sections in the distance. Dunstanburgh has been on my list of places to re visit and I recently got chance on the way back from a Glencoe photography trip to re shoot the Dunstanburgh sunrise. As you can see there was no sun, just cloud. Again I used some focus stacking to get the foreground stones and the castle sharp and blended that with the softer ND filtered water. Tip for you if you are visiting there, watch out for the big round stones in and around the sea are they are super, super slippy but they don't look it.